Brian Ortega Wants A Superfight Against Khabib Nurmagomedov When He Defeats Max Holloway! Brian Ortega faces Max Holloway at the main event of UFC 231 on Saturday night in Ontario, Canada, for the UFC Featherweight title. “T-City” is a man with even greater ambitions! He dreams of becoming a two-division champion. During the year 2018, Daniel Cormier was the only competitor who fulfilled this goal. He defeated Stipe Miocic at the main event of UFC 226 via clinch KO to become both Light Heavyweight and Heavyweight title holder. Khabib Nurmagomedov defeated Conor McGregor at the main event of UFC 229 via submission. Yet, BJJ black belt Brian Ortega believes the undefeated Dagestani would have a hard time using the same tactics against him. Brian Ortega plans to pitch his ideas to UFC president Dana White if he earns a victory over “Blessed”. “I’ve got these ideas I want to go for, if I’m successful hopefully I can start asking Dana White for them,” he said. At first, “T-City” needs to defeat Max Holloway on Saturday night. 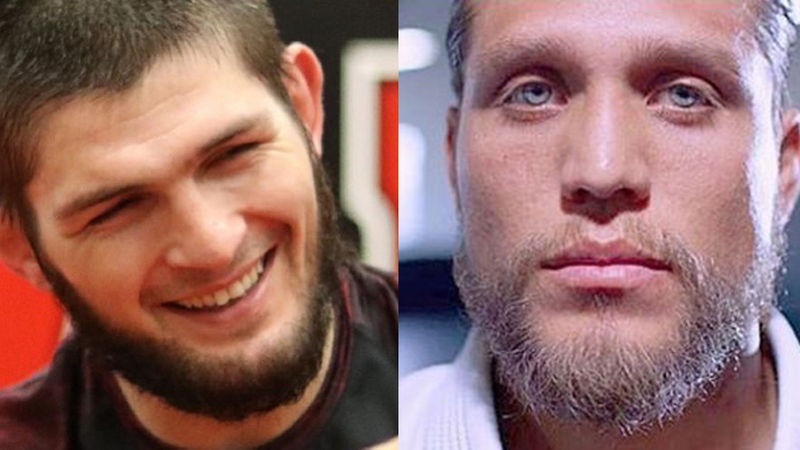 Would you like to see the superfight between Khabib Nurmagomedov and Brian Ortega?